Curious about Cohesity DataPlatform Virtual Edition? Marc Huppert was the first person in the world to install the product in his home lab. Read Marc’s review here and learn why he says Cohesity is truly One Platform with Infinite Possibilities! 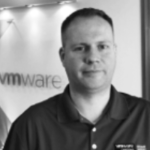 Marc Huppert is a Principal Technology Specialist and VCDX with 17 years of experience. He is responsible for technical designs, implementation standards, and architecture guidelines. He is the technical leadership of VMware Solutions at Computacenter. Marc is also a VMware Certified Instructor, VMware vExpert (2012-2017), vExpert NSX, and vExpert vSAN.